So to the brave new world of Formula 1 2011. Flappy rear wings for all (flexible ones for a few), unpredictable tyres and power boost batteries, all in the pursuit of faster, more competitive and (so the ethos goes) more entertaining racing for television audiences worldwide. Is it me or does the whole thing seem just a little bit too Wacky Races? Cars are starting to resemble those in the 1960s cartoon show: the fuzzy haired Professor Pat Pending’s constantly changing ‘Convert-a-Car’ is an obvious inspiration. Press a button or three and his wild machine would sprout wings, gain extra power and sometimes even fly! Of course, a lot of what has appeared on 2011’s F1 machines may seem very brave new world, but is actually far from it. Wings that move so as to reduce aero drag at speed were a common sight in 1960s and ’70s CanAm sportscar races. Jim Hall's often revolutionary Chaparral marque introduced the race car world to moveable wings with the 2E in 1966. Power out of the turn, get the car straight, press a pedal and the tea tray wing, high on pylons, would flatten out. With the straight at an end Jim would then return the wing to its high downforce position so as to make the turn. Nothing – in essence – different there from what we have now. Whether the Drag Reduction System actually delivers 'better' racing and more overtaking is still in doubt. On practice and qualifying days the drivers appear to love it – anything that gives a speed gain they will – and it's a real buzz trackside to see just who's got the confidence to open the flap the soonest with the obvious and sizeable aero instabilities flattening the wing can bring. Just ask Adrian Sutil! KERS – well we had that just a couple of years ago. Some love it, some don't. The suggestion that the technology is 'green' seems dubious to many, and its enviro-friendly credentials have been dismissed by more than a few ‘experts’. They may have a point but it can't be an all bad PR exercise for F1 to be seen to embrace at least some hybrid technology. To the wider audience watching the race on TV the matter seemed to be reduced – as these things so often are – to who has it, who's using it, how big theirs is compared to theirs, etc, etc. So it was in Melbourne, as much talk centred on just what type of KERS Red Bull ran in their RB7. Perhaps the most unpredictable variable of Melbourne 2011 was just how Pirelli's new rubber would perform in the pressure cooker environment of a race weekend. Pretty well has to be the verdict. 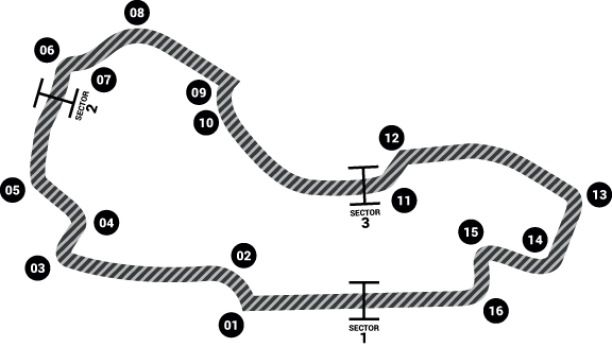 Forecasts of mountainous piles of rubber debris littering the track proved groundless, and the predictions of pitlane chaos as three or maybe four stops per car were needed proved equally wide of the mark. Two pit visits were more the order of the day and Sauber's one-stop approach showed that differing strategies may work. Change can be a good thing, but change for change’s sake often isn't. Last year wasn't that bad, was it? And the year before that, and the year before that. Many within the F1 paddock do seem forever blind to the world outside and its perception of the sport. Sure, one can understand the desire for more overtaking, but to throw sometimes cartoon–like 'technology' at F1 all at once might smack of desperation. We have to realise that although F1 is a wonderful technological battlefield, it has to appeal to a wider audience. Listening to TV commentators endlessly talk about wing angles, tyre degradation, undercuts, aero load percentages, kinetic battery charge rates, etc, may be manna from heaven to armchair experts worldwide but there is a bigger picture here. New viewers will turn off in their droves if that's all they hear. Please now take a few minutes to enjoy my pictures from the 2011 Australian grand prix by clicking here.